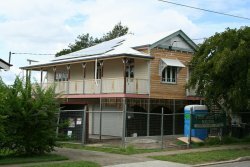 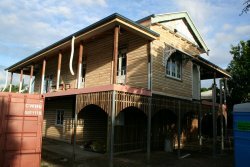 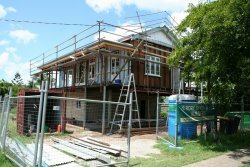 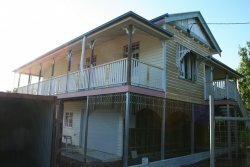 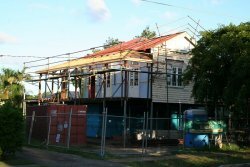 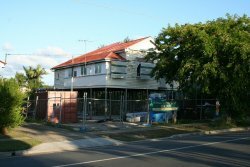 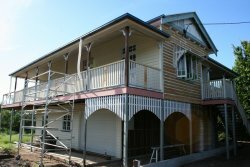 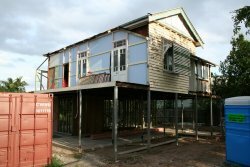 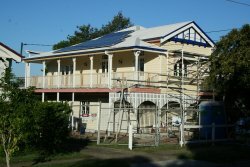 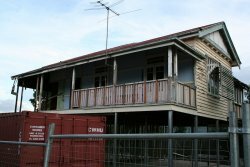 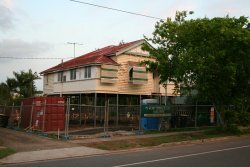 Welcome to Brian and Kaja's website recording our experiences in renovating and researching the history of our 1930s "Queenslander" style home, located in a "timber and tin" character suburb in the south-west of Brisbane, Australia. 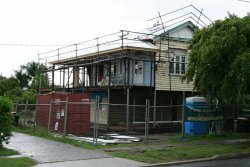 Our goal is to rejuvenate the old girl in as sustainable a manner as possible, retaining the existing character and charm but at the same time, doing what we can to improve safety, comfort and energy efficiency through passive solar design, the addition of active systems (solar hot water, solar power, rainwater collection, greywater recycling etc) and the use of recycled or new eco / green products wherever possible (low-VOC paints, locally sourced plantation timber etc). 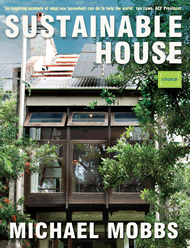 We also have plans for a permaculture organic garden / food forest in our back yard after the renovation is complete. 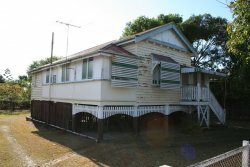 Our home was built in the early 1930s and its style is technically classed as an "interwar asymmetrical bungalow". 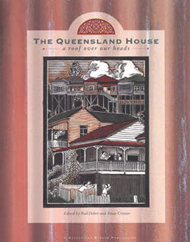 If you're unfamiliar with the Queenslander style of home, the Queensland Museum has a great book and website that provides plenty of useful information about the subject. 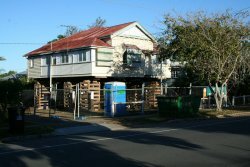 See also this Wikipedia article.